If you’re thinking about buying a keyboard, the two brands that probably keep popping up are Casio and Yamaha. Yes, you’ve definitely heard about them, you might even know a little bit about them – but perhaps you cannot decide which one to buy. Both brands have a solid reputation, as they are well-known in the music world, but in order to make a good purchase, the one that would fit your needs perfectly, you should have an in-depth knowledge about both types of keyboards. 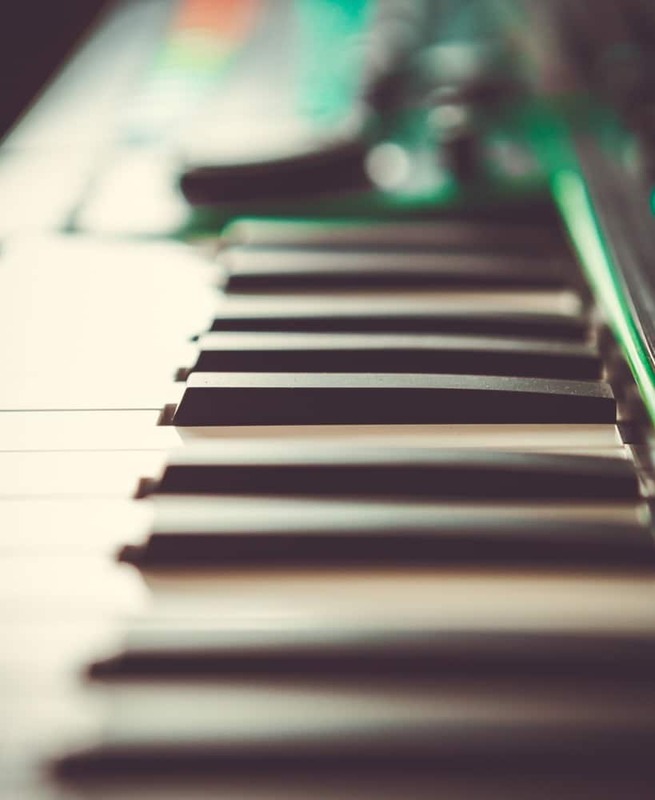 In this article, you will learn all there is to know about Casio and Yamaha keyboards, including their performances and advice on how to make the right choice when it comes to the actual purchase. So, without further ado, here is Casio vs Yamaha keyboard comparison. Casio vs Yamaha Keyboard: What's The Best Keyboard For Beginner? Unfortunately, there is still a stereotype about Yamaha as the main manufacturer of keyboards, while Casio is considered a second-rate company in this industry. However, this has nothing to do with the truth. The whole concept of Yamaha being the better brand may have been true three or four decades ago – but now the situation is completely different. The market is changing constantly and Casio keeps coming up with new keyboard series. Casio is making top-notch keyboards, which are just as good as Yamaha keyboards. Furthermore, in some aspects – Casio keyboards are even better. If this wasn’t true, Casio wouldn’t be seen as one of Yamaha’s main competitors. If you’re an absolute beginner when it comes to keyboards, it’s going to be really hard to know which of the two brands would suit you the best. The reason for this is that, throughout the years, both Casio and Yamaha have earned solid reputation as manufacturers or reliable piano keyboards. And it’s no wonder why these two names keep popping up in every keyboard search on the internet. It’s practically impossible to compare every Casio model to every single Yamaha model, because that would virtually mean spending hundreds of hours in the process. What we can do is make a general analysis based on the most important aspects which define a quality keyboard. By comparing these factors, you will be able to get a better picture of what each brand has to offer, and your choice will be much easier. So, let’s begin. Along with key action i.e. the quality of keys and their “responsiveness”, this is the most important factor for choosing a keyboard type. You can pay more and end up with poor sound quality; on the other hand, you can pay a small amount – but get yourself a great model with fantastic sound. Overall, both brands are great when it comes to the quality of sound. For example, the now-famous Tri-Sensor keyboards by Casio, in their Privia line, are fantastic when it comes to the quality of sound they produce. 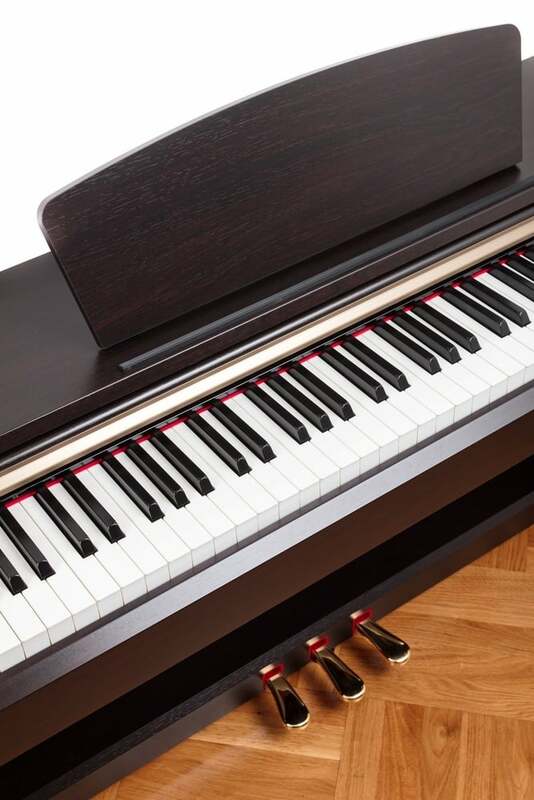 The keys are highly responsive, and because of the tri-sensor enhancement, the keyboard is able to pick up every intricate detail of a performance, which is automatically reflected in the audio output. On the other hand, Yamaha’s Graded Hammer Standard is widely considered one of the best keyboards out there, with a fantastic quality of sound. There are also some other types of keyboards which have recently been developed, with excellent audio enhancements. Although both brands have great products to offer, it’s safe to say that Yamaha is a little ahead in the race. So, in the category of sound quality and key action – Yamaha is the winner. Nowadays, there are so many possibilities for buying a solid keyboard. In the past, you were somewhat limited by the products offered on the market, but that changed a long time ago. There are all kinds of manufacturers now, with products of great quality, good quality, but also - very poor quality. 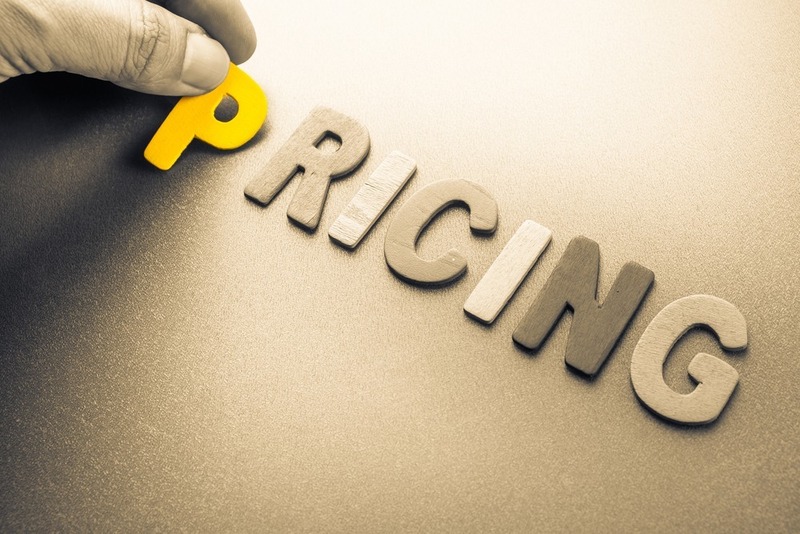 However, since the buyer’s budget determines the purchase, all products eventually find their way to the customers. This is why major manufacturers, such as Yamaha and Casio, simply had to adjust to the market and manufacture quality products that can be sold at affordable prices. In the category of price, it’s Casio that wins the points. Of course, there are many keyboards by Yamaha which are fairly inexpensive, but simply put –Casio has been more consistent in this regard. A great number of Casio keyboards are affordable, which means that you don’t have to spend a fortune in order to buy a decent instrument. If you’re on a very limited budget – let’s say, $500-700 - you will definitely find a quality product from Casio. So, if we’re talking about the price and affordability, Casio is definitely the brand to go with. Both Casio and Yamaha are recognizable, that’s for sure, but recognizability is not the same as reputation. For example, you may instantly recognize two car brands when you see them, but you wouldn’t necessarily buy both of them, right? Reputation is extremely important, and it goes a long way. In fact, reputation is key for long-term success of a brand. When it comes to manufacturing keyboards, both Casio and Yamaha are leaders in the industry, but Yamaha still has stronger reputation. Casio is going strong, no doubt about it, but Yamaha has been on the market much longer, and it doesn’t show signs of stopping. In the category of reputation, Yamaha is definitely the stronger brand. It’s important to have a diverse line of products, so that different types of customers can find what they need. If a company sticks to only one type of product, it will soon find itself in a rut. Yamaha has all kinds of keyboards, and the variety they offer is truly amazing. If we only count the different products, it’s clear that Yamaha has the upper hand, but there’s more to it than that. Casio may not have such diversity, but it has something else, which can be referred to as – deep focus. This basically means that Casio decided to focus on having various keyboards in one single product line, which is the case in their Privia line. 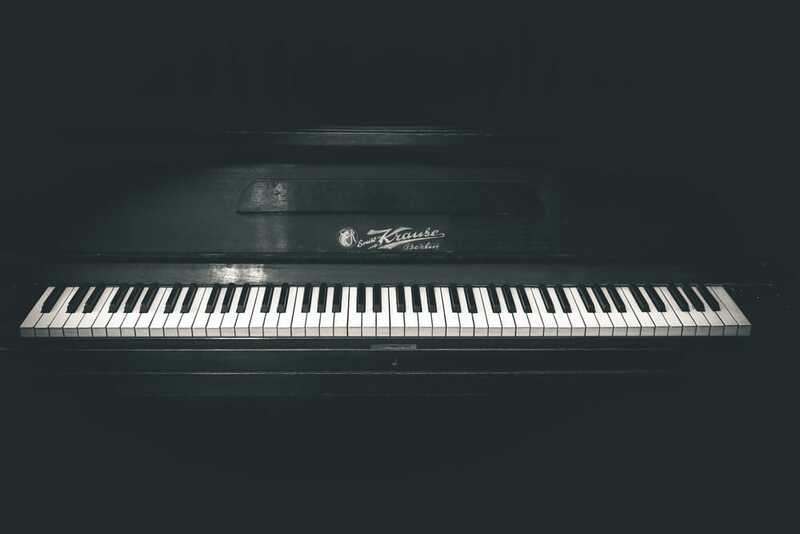 Here, you can find all kinds of keyboards, from portable digital pianos to stage pianos. If we have to pick a winner in this category, Yamaha obviously has the greater variety of products, but we shouldn’t forget that Casio also has a lot to offer. 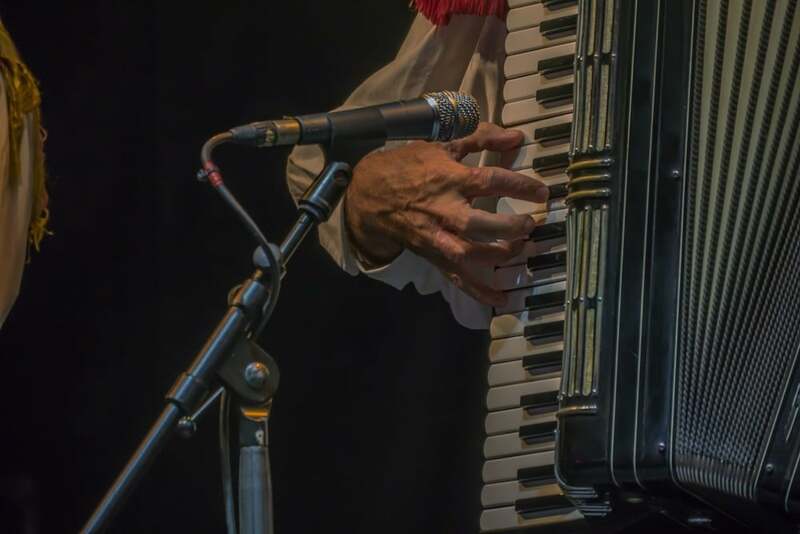 One of the main reasons why keyboards are so popular is because they have all kinds of additional features which help musicians improve their performance. But it’s not always easy to add different kinds of features to a keyboard type, and it’s precisely this that separates great companies from average ones. Obviously, both Casio and Yamaha are amazing when it comes to additional features. Their keyboards have all kinds of extra options, such as sound effects, voices of all sorts and drum beats. But we really have to hand it to Yamaha in this category. They probably have the best additional features of all keyboard manufacturers. For example, their Education Suite is a fantastic program for learning the piano. With it, you virtually have a piano teacher by your side, because you can build in into the instrument you’re playing, thus getting a full-stack learning experience. If we add to this all the other digital enhancements on Yamaha’s keyboards, it’s clear that, in this category, they beat Casio by a long shot. It’s not only important whether your keyboard sounds good. Another very important feature is its construction i.e. the way it was built. This means that a keyboard should be made of solid, long-lasting material, so that it can sustain bumps during transport. If you are in a band, it means that you would constantly move your keyboard around. 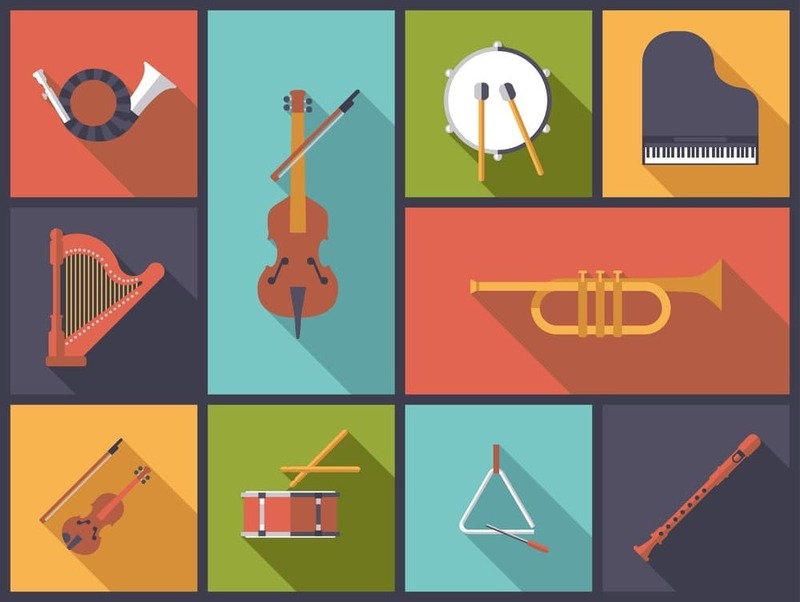 This is why it’s essential that you have a well-constructed instrument. When it comes to construction, both Yamaha and Casio are great. Their instruments are made of reliable materials, enabling them to sustain all kinds of “external shock”, such as bumps or drops. The two brands wouldn’t become what they are today if they didn’t manufacture high-quality products. In this category, we can safely say that there is no winner, because both Yamaha and Casio invest a lot in the construction of their keyboards. Some keyboards may be more bulky than others, but that doesn’t really fall into this category – it’s more a matter of design. If you’re looking for a solid construction, you won’t make a mistake either way. Depending on what you need a keyboard for, you would want a specific kind of design for it. It’s not the same if you’re buying a keyboard for home-use and for playing professionally, in public. This is precisely the reason why many smaller manufacturers cannot compete with Yamaha and Casio. Lesser known keyboards tend to have “child-like” design, and oftentimes – they look more like a toy than a real instrument. But if a choice has to be made between Casio and Yamaha, in terms of design and visual appeal – Casio wins. In the last couple of years, it seems that Casio has been making an extra effort to come up with wonderful design solutions. The models in Casio’s Privia series all have wonderful design. Models such as PX-160, PX-5S and PX-130 are the best examples of this. They are elegant and sleek, with just the right color hues –and they are free of unnecessary bits and pieces. Yamaha doesn’t seem to have anything of this type in the arsenal, although its products are more than well-designed. However, with its Privia series, Casio wins in this category. Not only that these keyboards sound well, but they are also wonderful to look at – this is why Casio’s design is the way to go. Now, let’s do a quick recap for both brands. This will give you a clearer picture, to see what both of them have to offer i.e. what their strongpoints are. 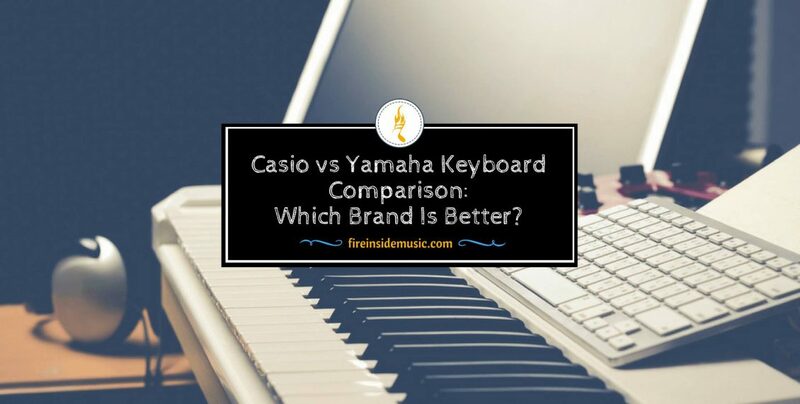 As you can see from this side-by-side review, both Casio and Yamaha are reliable brands and leaders in the industry. The problem is that you cannot get everything you want in one keyboard. In some categories, Yamaha is obviously much better, but in others – it’s Casio that wins. Therefore, the most important thing is to set your budget before even going into purchasing. Then, think about what you want the keyboard for: if it is for home-use, for professional playing, etc. And finally, take into account the design. Some people prefer having a nice-looking keyboard, even if it doesn’t have a lot of additional features. Others want a full-stack keyboard, and they don’t care much for the visual appeal. All in all, whether you’re going for a Casio or a Yamaha keyboard, you won’t make a mistake - it all comes down to your personal preferences.